This information is supplied for use as a guideline only. Information may vary under certain conditions. 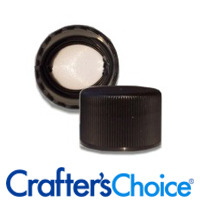 It is the responsibility of the customer to test the compatibility of each cap for its intended use. COMMENTS: These tops add a very nice sleek look to my beard oil bottles. 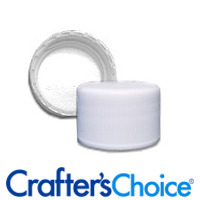 I use these with an orifice reducer. Great buy! COMMENTS: I ordered these and use them with the 2oz Clear Boston Round Plastic bottles and they are just lovely. It really elevates the look of the plastic bottles and makes them feel high end. COMMENTS: These tops are super cute and adorable. They fit great with the jars I purchased! Will purchase more! COMMENTS: These make the Amber bullet bottles look so cute when the product is ready for labeling! We use these for oils and have not had any problems with leaking or anything. COMMENTS: I just love these caps! I'm Using them with the 2oz oblong bottles for bath salts and they look great. "Does the aluminum liner seal on the bottle making it tamper proof, or do you need to purchase these seals separately? Thanks!" Staff Answer This metal top has a PE liner. They are not tamper evident.